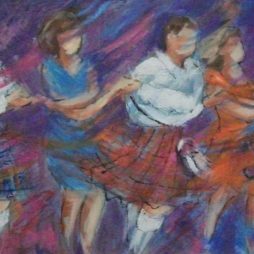 Janet was an arts and crafts teacher for many years before studying with the Open College of the Arts at Leith School of Art. 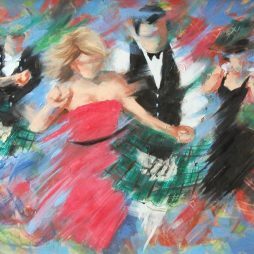 She is now a full time Artist. 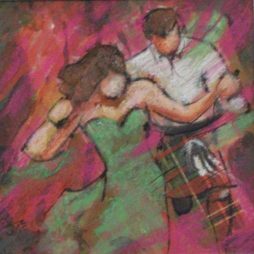 Her main theme is Scottish Dancers. 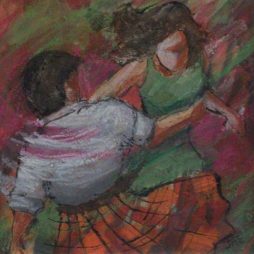 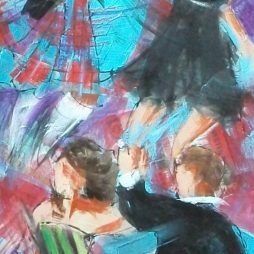 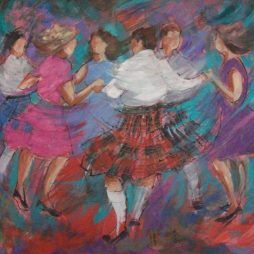 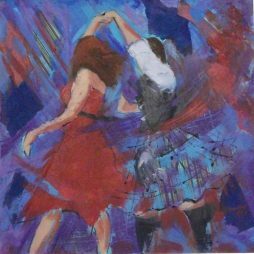 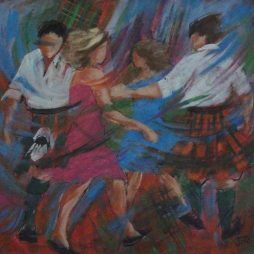 Janet uses Mixed Media to describe the look of tartan and to capture the movement of the dancing. 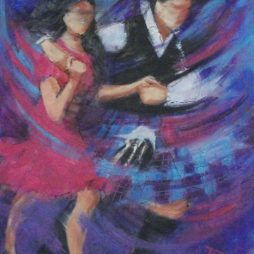 The aim is to invoke a sense of pride and nostalgia while putting a modern twist on these ancient and traditional dances. 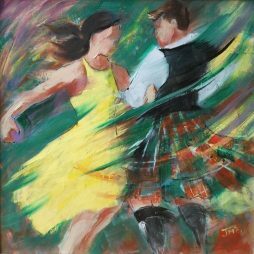 Janet’s work has been sold Internationally.